The terminal area at Visakhapatnam airport will be increased from 19,800 square meters to 29,050 square meters. With this, the terminal's peak-hour handling capacity will go up from 700 to 1,050 passengers. On completion of the project, the airport will be able to handle four million passengers per annum. 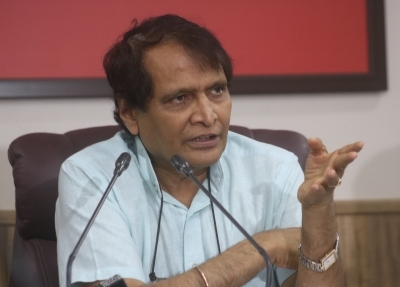 Speaking on the occasion Prabhu said: "The country has 103 airports and another 100 airports may be added in the next 10-15 years with an estimated investment of $65 billion."